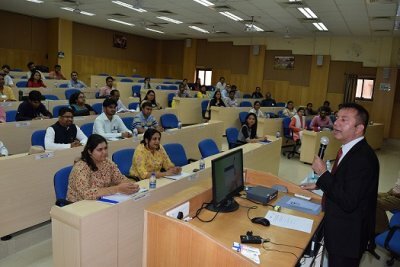 IIM Indore in association with Global Initiative of Academic Networks (GIAN) and Ministry of Human Resource and Development is organising a Course on ‘Foundations of Mixed Methods Research’ from April 15-24, 2019. 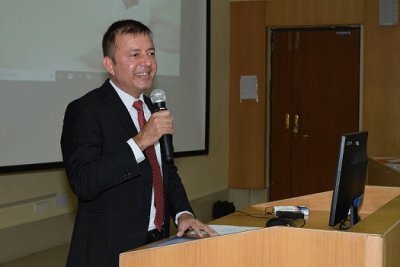 The inauguration of the course took place on Monday, April 15, in the presence of Professor Himanshu Rai, Director, IIM Indore and Professor Prabin Panigrahi, Course Coordinator and faculty member IIM Indore. Col. Gururaj Gopinath Pamidi (Retd. 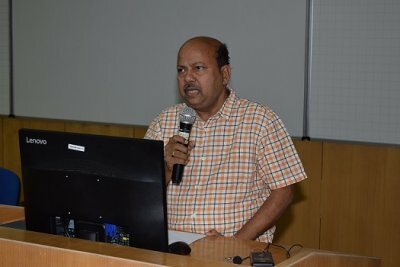 ), CAO, IIM Indore was also present on the occasion. The course instructors are namely, Dr. Lakshmi S. Iyer, Professor of Information Systems & Director of the Applied Data Analytics Graduate Programme at the Walker College of Business, Appalachian State University and Professor Prabin Panigrahi, Professor in Information Systems area and Chair of Post-Graduate Programme, IIM Indore.